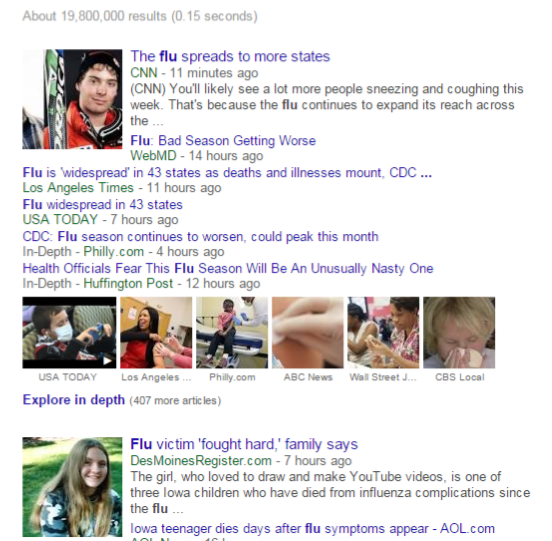 “Experts had anticipated a severe flu season this year because of a mismatch of strains in the flu vaccine. For managing flu and flu-like illnesses, the core issue in the matter of nutrient and herbal therapies is not the paucity of therapies that have stood the test of time. Such infections have been known to humans for eon. Nor is the issue that most of those therapies have not been investigated and validated with modem scientific methods. Rather, the core issue here is that the medical community needs to suppress those therapies so that its higher goal of fabulous wealth through its drug industry is not threatened. For that purpose, it has employed “doctors”, who very skillfully suppressed those natural therapies. In that climate, it is hard for physicians to find a philosophical perspective with which they can approach the control of flu and flu-like illnesses with the use of integrative therapies that have been found effective by long empirical experience. 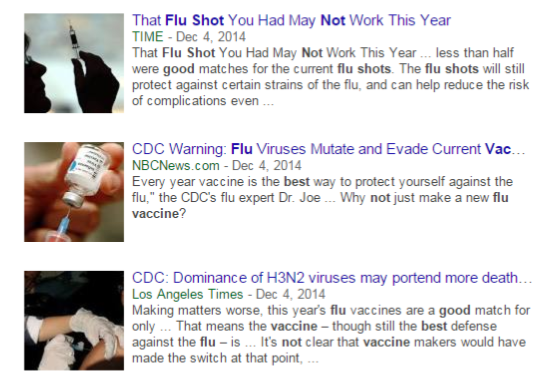 Why Don’t I Take Flu Vaccine Majid Ali MD from Majid Ali on Vimeo. 3. Dysoxygenosis (the dysox state, dysfunctional oxygen metabolism). Here, I have chosen six natural remedies that my colleagues at the Institute and I have found to be superior in clinical effectiveness to many others for managing flu and flu-like illnesses. All of those therapies, directly and/or indirectly, reduce oxidative and acidotic stress as well as restore oxygen homeostasis. For presenting clinically useful information about those therapies in the context of the three flu furies, I begin by defining some terms. Why Don’t Most Health Professionals Take Flu Vaccine from Majid Ali on Vimeo. I use the term oxystatic phytofactors to collectively refer to all plant-derived substances—concoctions, extracts, or teas of roots, bark, leaves, and flowers of plants — that have empirically established biologic characteristics that support oxygen homeostasis. How Does Flu Kill Majid Ali MD from Majid Ali on Vimeo. Don’t Use the Word Immune System, Please! from Majid Ali on Vimeo. I use the term oxystatic nutrients to refer to all such therapies that are directly or indirectly involved in oxygen homeostasis. As discussed in the earlier chapters, the focus on oxygen homeostasis forces us to think and reach beyond the prevailing notions of prescribing mononutrient or monophytofactor therapies to treat viral disease. Following a radio program in which I focused on the six therapies, I received an e-mail from a listener who protested that all those therapies were immune enhancing, rather than antiviral. Reading that e-note, I realized how widespread the confusion is about what is ‘antiviral’ and what is ‘immune-enhancing.’ Actually, all therapies that are immune enhancing can be considered antiviral. That further underscored for the importance of ‘molecular-energetic’ (the molecular pathways by which cells gain energy) thinking in clinical medicine, and especially in the management of infectious disorders. This — in my view — is a crucially important issue in integrative medicine since it provides us with a sound scientific and logical model of holistic care of the sick and the healthy. In that simple model, the sun represents the healing energy of the Presence (the spirit) that surrounds us at all times and the soil represents the trio of the bowel, blood, and liver ecosystem. Healing in acute and chronic illnesses, then, can be seen as occurring through the medium of oxygen sustained by luminous sunlight and nurturing soil. That simplicity holds whether I manage a case of breast cancer or of heart disease, of disabling chronic herpes infection or flu and flu-like illnesses. The clinical applications of that model need to be individualized for each patient but the essential sun-soil holism remains constant. The model underscores the importance of holistic thinking and mandates that all relevant issues be addressed for a given patient. In the first chapter of this book, I addressed the problems with the terms ‘flu death’ and ‘flu mortality’ rates in the populations affected by flu viruses. Very few persons can be expected to die from flu viral infections when oxygen homeostasis is preserved and the immune system is strong. People who succumb to flu infections perish because of the three furies of oxidosis, acidosis, and dysoxygenosis which create and fan the dysox state (dysfunctional oxygen metabolism). Every moment of anger, hostility, and the sense of being a victim matters. Without the sun-soil model of understanding how the influenza viruses cause illness and death, we revert back to one disease/one-diagnosis/one-drug thinking. The ownership of disease persists, both for the patient and the practitioner. Again, I write for emphasis that my suggestions/guidelines for managing flu and flulike illness in this and the next chapter should be viewed within the larger context of the sun-soil model of managing viral infections. Each person is a unique person. Each person responds to different therapies in a different way. The suggestions made in this and the next chapter have been safe in my clinical experience. Still, I urge the readers to test these suggestions, beginning with one-fourth or less of the dose and gradually increasing the amount until the full suggested dose is achieved. Needless to point out, such individualized testing should be done prior to developing flu or flu-like illnesses so that one can have a sense of one’s own tolerance with regards to the individual items to be included in one’s program at the time of the viral infections. Clinical medicine is an artful application of a large number of biological facts to the care of a sick individual. The art of medicine cannot simply be learned from books. It requires years of toil, learning the basic facts of anatomy, physiology, pathology, and therapeutics. It requires attentive listening to the patient and acquiring the ability to separate the core issues in each case from the clutter surrounding that case. Finally, it requires the courage to be faithful to one’s clinical observations. If considering to be one’s own physician in managing common viral infections, it would be well served to take note these statements. However, safety first, none of my suggestions should be considered as a substitute for a full clinical evaluation by a practitioner. The following are the six natural remedies that I offer as suggestions to be considered in the case of flu and flu-like illnesses. My choices are based on extensive personal experience with these therapies, as well as on the feedback I have received about their effectiveness from my colleagues at the Institute, Capital University of Integrative Medicine, and the American Academy of Environmental Medicine. In this chapter, I also furnish information about other therapies — cayenne-ginger vapor treatment, lemon-maple fluid fasts, alkalinizing protocols, oregano oil, and others — which my colleagues and I prescribe for acute and chronic viral infections. These suggestions may also be considered by the reader within the larger context of the sun-soil model of managing viral infections. infections. 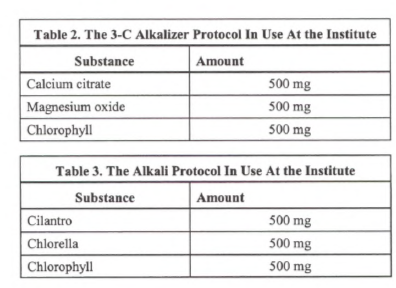 The individual ingredients of the protocol given in the table can be purchased separately and then taken together in the recommended doses. Turmeric is probably the single most commonly used remedy for flu and flu-like illnesses in the Punjab province of Pakistan where I grew up. The mothers there used to — and hopefully fathers now have begun to -— mix half a teaspoon of turmeric powder in a cup of milk and ask the children to drink it twice or three times a day. I now recommend organic vegetable or grape fruit juice instead of milk for mixing with turmeric powder. Garlic can be taken raw or cooked. The dose is a matter of personal choice. I have not yet seen a patient who developed garlic toxicity due to overdosage. Ginger can also be taken raw or cooked. Ginger water prepared by boiling a gallon of water with one inch long piece of ginger (chopped) is the best and the cheapest drinking water. When pouring this water into glass containers for refrigeration, the bottom one inch layer of boiled water should be discarded, since this is the water in which ginger compounds (alkaloids) precipitate environmental pollutants in water. Old-fashioned chicken soup prepared with ginger and garlic is an excellent alternative way to combine these remedies. The salt in the soup usually increases the desire for fluids and that improves the state of hydration. In the Pakistan of my boyhood, mothers often gave their children cod live oil during winter, both for the prevention of common colds as well for fighting viral infections. I commonly elicit knowing smiles when I prescribe cod liver oil for patients. They remember receiving the same from their mothers, both in the United States and Europe. For centuries, people in most countries have used it for its empirical benefits. I recommend a daily dose of one teaspoon of cod liver oil on alternate weeks during the winter months to reduce the possibility of contracting flu and flu-like illnesses. On a short-term basis (up to a month), the oil may safely be taken in larger doses of four teaspoons daily. The zinc lozenges have been prescribed by nutritionist-physicians for sore throats and early stages of flu-like illnesses for decades. Such lozenges can be safely taken every three hours for episodes of sore throat for periods of up to five days. In general, I prescribe zinc in daily doses of 25 to 50 mg along with other mineral supplements, including copper in doses of 2 to 5 mg. The term probiotics refers to microbial species that normally reside in the human gut. They help control overgrowth of harmful microbes, such as yeast, mycoplasma, and others. The best known example of a probiotic, which has been used universally since the dawn of agriculture, is yogurt. I liberally prescribe goat yogurt as a part of an integrative program for managing flu and flu-like illnesses. Most cow milk-intolerant individuals can tolerate plain cow milk yogurt. There are a large number of brand name probiotic formulations composed of Lactobacillus acidophillus, Bifidobacterium bulgaricus, and Streptococcus feceum. I am not able to recommend any brand name and suggest an appropriate dose. I have often heard claims of this or that number of billions of viable microbes contained in various brand names. Those claims are not substantiated by any true-real-testing. I suggest the readers seek advice about it from their practitioners. The other alternative is to ask the local health food store about the brand she/he has most experience with. Vitamin C is an excellent water soluble antioxidant with literally no toxicity with the usual recommended doses. The clinical benefits in flu and flu-like illnesses have been recognized by all practitioners who use it. I recommend Vitamin C in oral doses of one to two grams every two hours during the day at the onset of a viral infection. It is extremely uncommon for my patients to report any adverse effects except loose bowel movements, which is a very small price to pay for markedly reducing the total bowel load of common cold and influenza viruses. Vitamin C has also been recommended ‘to tolerance,’ meaning as much as necessary to induce watery diarrhea. I have not seen any real advantage of doing that. My colleagues at the Institute regularly administer Vitamin C intravenously in doses of 15 to 25 grams and observe good clinical results. To date, we have not encountered any long-term negative effects of such therapy. I refer readers interested in an in-depth discussion of the clinical uses of vitamin C to my book Integrative Nutritional Medicine, the fifth volume of The Principles and Practice of Integrative Medicine. Flu viruses thrive in acidic environments. The human immune system does not work well in an acidic environment. For those reasons, it is critical that the issue o f acidity be effectively addressed. I consider optimal hydration as the single most important measurement for reducing the total body burden of acids. The following are some protocols prescribed at the clinic for that purpose. Citrate has been widely recommended to neutralize excess acidity. It may also be taken as Alka-Seltzer Gold in doses of three to four tablets daily. Chlorella, chlorophyll and cilantro are other acid-fighting remedies and may be used for flu and flu-like illness in doses of up to one to two grams daily. The following is the instruction sheet that my colleagues at the Institute and I use for a general purpose of a liver/kidney, bowel detox procedure. The abbreviation LEMP stands for lemon and maple syrup. Epsom salt and cayenne pepper are added to assure a bowel flush. This is a modification for a liver/bowel flush that has been used for centuries throughout different cultures. Please read this direction sheet twice. The procedure is simple and when done correctly (in a prayerful / meditative state) should not cause any discomfort. The procedure can be discontinued without any concerns if weakness or other symptoms develop. All prescription medications should be continued but we ask that you consult with your physician first. Medications that need to be taken with food can be taken with a glass of water at the usual times. It is recommended that the nutrient and herbal supplements be reduced by 50% during the first day the fast is done. The LEMP detox is initially prescribed for just one day at a time. Longer fasts can be done but only if the one-day fast is tolerated well. The amount of Epsom salt taken as a saline laxative should also depend upon tolerance, beginning with one tablespoon. The following is the two-part recommended protocol. Two to three quarts of additional water should be taken during the day. If hunger develops and becomes uncomfortable, a grapefruit may be eaten. A light vegetarian meal is suggested for the evening if hypoglycemic symptoms occur. Supplement program should be continued to the tolerance (begin with 50% of the dose and build up to the full recommended doses. Drink in small portions throughout the day, at your comfort level. May begin with a second 24-ounces of the above. Begin with one teaspoon of Epsom salt with three ounces of water. Slowly build to one tablespoons if found necessary for complete bowel evacuation. Repeat after one hour (One tablespoon Epsom salt with three ounces of water), if no bowel movement occurs. Repeat after one hour, if necessary. Step # 3: Eat a vegetarian meal in the evening, if symptoms persist. Two natural therapies that have stood the test of time for liver detoxification are liver castor oil pack and liver flush protocols. As for other specific therapies I include in this volume, I recommend that both liver pack and flush should be undertaken under professional supervision first. I myself prescribe castor oil liver packs to facilitate liver detox and reduce liver congestion as a part of our basic bowel blood-liver detox program in most patients with chronic ailments. 1. Gently massage the entire liver area (upper abdomen and lower chest on the right side) along with the front of the lower abdomen with your left hand for two to four minutes. 2. Prepare a piece of flannel or cotton cloth large enough to cover the liver and abdomen areas when folded twice. 3. Fold flannel or cotton piece and soak it with castor oil (available from most pharmacies). 4. Cover the liver and abdominal areas with the soaked flannel or cotton piece and cover the cloth with a plastic sheet (an opened plastic bag is adequate). Use tape to anchor the plastic sheet. 5. Put a heating pad over as much of the area as possible covered by the pack, favoring the area of the liver. The heating pad must not be hot. 6. Leave the castor oil soak for two hours, unless otherwise specified by your physician. 7. Gently wash off the castor oil with a mild soap after finishing the protocol. 1. Drink 5 to 8 (or more if tolerated) glasses of organic apple cider or juice throughout the day. Persons with hypoglycemia or glucose intolerance may substitute organic vegetable juice for apple juice. 2. Drink additional water to maintain a state of overhydration from morning till 6 PM. 3. Take a vegetarian lunch at noon. 4 Continue with your prescribed nutrient and herbal supplements. 5. Three hours after lunch, take two teaspoons of disodium phosphate (or Epsom salt, if disodium phosphate is not available) dissolved in two ounces of hot water. Drink one cup of hot water with a few drops of lemon juice and a pinch of salt to eliminate bad taste from mouth. 6. Two hours later, repeat the above step (# 5). 8. At bedtime, drink one cup of an equal-parts mixture of extra virgin olive oil and lemon juice (1/2 cup of each). Again, fresh juice is preferred. 9. Lie in bed on your right side with knees pulled up for about 30 minutes. 10. Additional vegetarian meals may be taken if needed. 11. Be prepared to experience nausea, some abdominal cramps, and diarrhea during or after taking lemon juice and olive oil. You may need a Tigan suppository if nausea persists (prescription required from your physician). 1. Drink 5 to 8 (or more if tolerated) glasses of organic apple cider/juice or vegetable juice daily for two days. 2. Three hours after a vegetarian lunch on the second day, take 2 teaspoons of disodium phosphate dissolved in two ounces of hot water. Drink one cup of hot water with a few drops of lemon juice and a pinch of salt to eliminate bad taste from the mouth. 3. Continue with additional steps as for the one-day protocol (steps # 6 to 9). In the Chapter 3 entitled “Three Flu Furies,” I explained the three primary mechanisms by which flu viruses cause illness and death: too much acidity (acidosis), too much oxidative stress (oxidosis), and dysfunctional oxygen metabolism (dysoxygenosis). The most efficient way to diminish the increased body burden of acids is optimal hydration. The most efficient way to reduce the increased oxidative burden of acids is optimal hydration. The most useful approach to prevent flu or severe illness caused by flu is restore oxygen homeostasis through optimal hydration. I recommend three to five quarts of fluids for persons weighing from 110 to 180 pounds respectively. Water, herbal teas, and soups are acceptable fluids to improve hydration. Coffee and alcoholic beverages are not. A healthy bowel empties itself two to three times effortlessly. By this definition, a majority of my patients at the time of initial visit are constipated. Restoring the strength of the bowel is always one of my top clinical priorities. In all infections disorders, this becomes even an urgent problem. On a short-term basis, I would use anything or everything that works. Spring or other suitable water. Rebounding exercise is necessary so that the fluid simply does not sit in the stomach and make you uncomfortable. Sauna is desirable for managing viral infections, unless associated with fever. It can be used daily until flu symptoms clear up. The following are some guidelines we give to our patients. Use an ordinary heater to heat the bathroom with closed door Start with 100 degrees centigrade Build to 108 degrees Use a pool thermometer for measuring room temperature Call in an electrician if you need an extra line for a second heater. The symptoms of nasal and head congestion, with or without fever, are very common in flu and flu-like illnesses. The following vapor treatment is usually quite helpful, and may be included in the treatment. Boil two quarts of water with one half teaspoon of cayenne (red chili powder) and a one inch long piece of ginger root (chopped). 2. Transfer boiling water to a plastic heat safe basin. Place the basin close to the bath tub (or any other suitable and safe area). 3. Sit on a stool/chair about a half foot away from the basin and lean face over to gently inhale the a small amount of vapor, be careful not to breathe too deeply. 4. After a few moments, move closer to the basin and inhale a little more vapor. 5. Once you have become comfortable with the vapor, cover your head and pot, face downward, with a large towel to keep the vapor in and inhale, first gently then deeply. 6. Remove the towel if the vapor is too strong. Otherwise continue to inhale for 5-7 minutes. The following are some additional therapies that my colleagues and I have found useful for common cold and upper respiratory viral infections, with or without antibiotics to control secondary bacterial infections which inevitably develop when the body is not able to control infections within five to seven days. Each plant species is biochemically different from each, and embraces a wide array of intraspecific biochemical variation. All of these species contain toxic compounds, and all contain vitamins. I dare speculate that all contain compounds that will cause tumors in vitro and in vivo and all contain compounds that will arrest tumors in vitro and in vivo (shikimic acid and beta-sitosterol, e.g., may be ubiquitous or nearly so in higher plants. I further dare speculate that all contain compounds which will raise or lower blood pressure, the body temperature, etc. (if we analyze large quantities of all chemicals that are present in minute quantities in plant species. I might add here that I whole-heartedly recommend Duke’s book to all those interested in natural healing methods, as well as potential toxicities of commonly prescribed herbs. 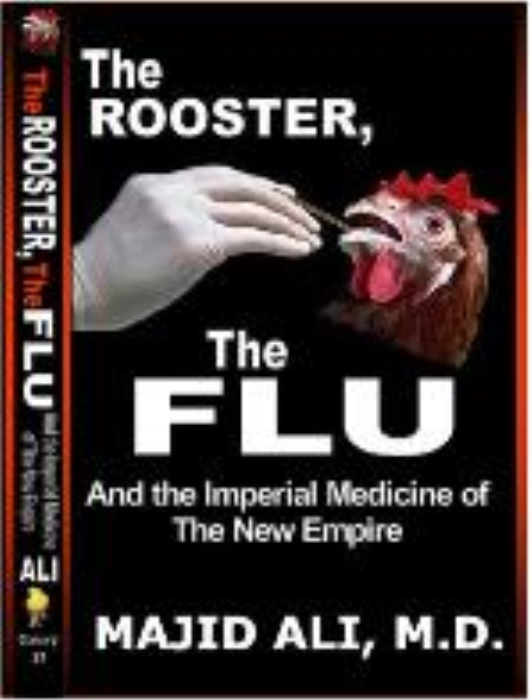 In this book I related the history of 1918 American Bird Flu Pandemic (wrongly called the Spanish Bird Flu pandemic, and then review scientific advances in the filed ever since. Tao large chapters are devoted to oxygen and other natural remedies to prevent and treat viral infections. Really enjoyed this article! Makes a lot of sense! Thank you again for doing what you do to educate everyone on being healthy the natural way!